Seasons by the Sea is located in West Beach just a mile west of the Hwy 59 and Beach Blvd intersection. Set in an ideal location, these condos have excellent views of the Gulf of Mexico right across the street and of Little Lagoon. 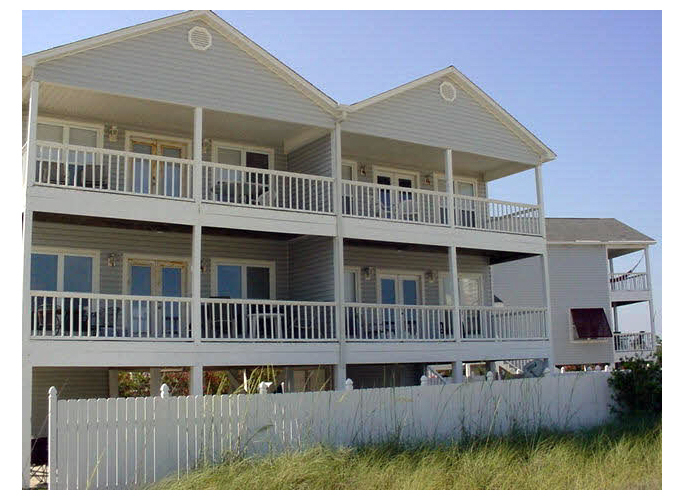 This low-density development features nicely decorated 3 BR/ 2.5 BA duplexes with spacious open floor plans, massive kitchens, two balconies, and plenty of storage space underneath for beach chairs and floats. Each unit offers private covered parking and a community pool enclosed with a fence. Boaters and kayakers can take advantage of the property's private boat launch leading into Little Lagoon. It's a short walk over to Pier 33, a grocery and convenience store, to pick up last minute groceries and beach necessities. Enjoy a delicious dinner and watch the sunset at Bahama Bob's, the only beachfront cafe on West Beach, a 1/3 mile east of the property. Popular attractions, The Hangout and Gulf Place is just under a mile away and offer great dining and entertainment. Approximately 15 minutes to the east is Orange Beach, known for great restaurants, boating and offshore fishing excursions. Please let us know if you would like further info for Seasons by the Sea or any other Gulf Shores condos, homes or real estate along the Gulf Coast or would like to schedule a private viewing by emailing info@condoinvestment.com or by calling 251-Area-Pro (251-273-2776) for immediate assistance.